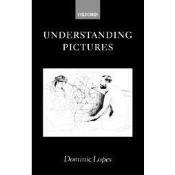 On Understanding Pictures: "This is philosophical writing of a very high order, to my mind. Lopes is a master of simple, intriguing and compelling arguments." 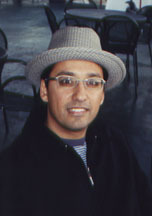 Dominic Lopes is Distinguished University Scholar and Professor in the Department of Philosophy at the University of British Columbia. He works mainly in aesthetics and is a member of UBC's aesthetics group. His research focuses on: pictorial representation and perception; the aesthetic and epistemic value of pictures, including scientific images; theories of art and its value; the ontology of art; and computer art and new art forms. His books include A Philosophy of Computer Art (2009), Sight and Sensibility: Evaluating Pictures (2005), and Understanding Pictures (1996). His current project, Beyond Art: Foundations of Appreciation, for Oxford University Press, discusses theories of art, the arts, and their value. He is also co-editing (with Diarmuid Costello) a special issue of the Journal of Aesthetics and Art Criticism on the media of photography. Professor Lopes is the recipient of the Indiana University Teaching Excellence Award, the American Society for Aesthetics Outstanding Monograph Prize, and the 1997 Philosophical Quarterly Essay Prize.